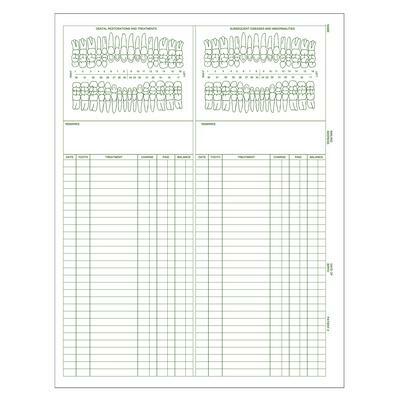 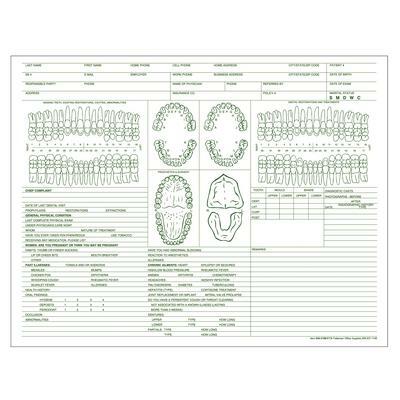 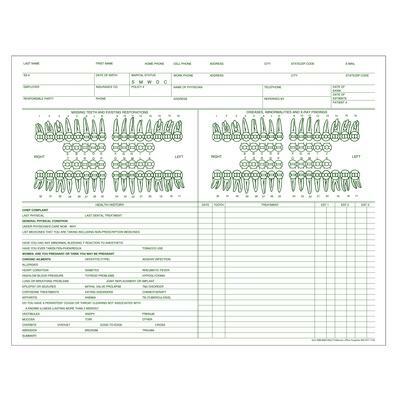 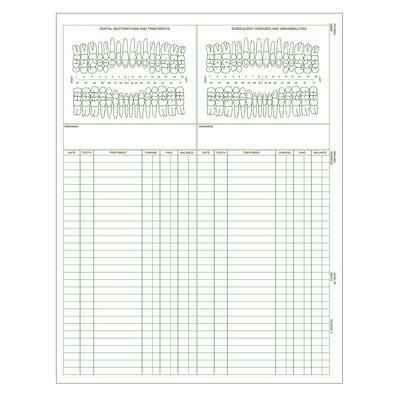 Dental charts available in 80 lb offset stock or 100 lb index stock. 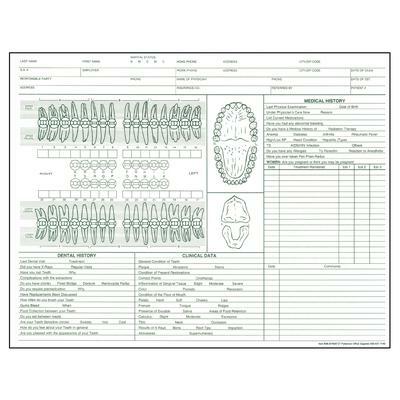 Plenty of space for detailed clinical findings, patient’s history, estimates, charting and charge information. 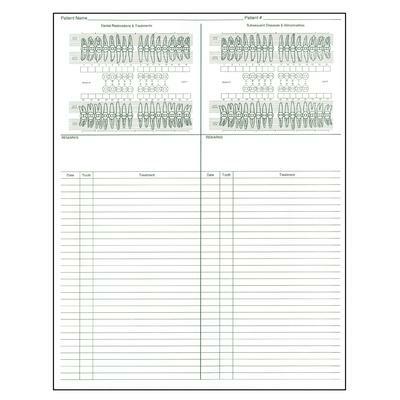 Printed 2 sides in green ink.